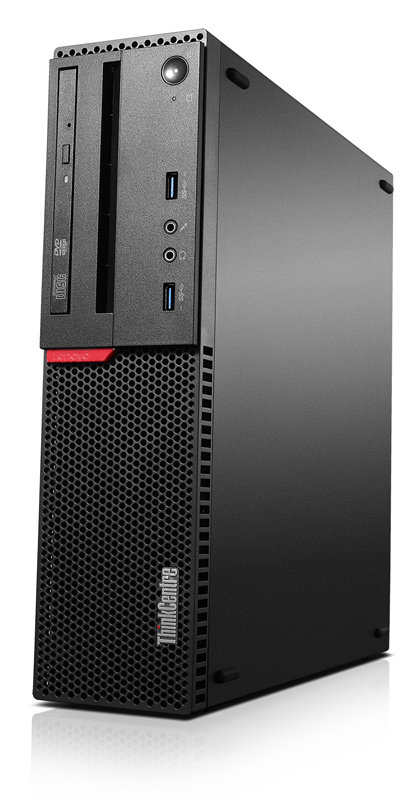 The Lenovo ThinkCentre M700 is the Perfect Personal, or even business computer to have at your disposal. You are able to maximise productivity with display support for up to 3 Monitors, making navigation easier, reducing errors and also improving your quality of productivity. Additionally, Lenovo Desktop Power Manager enables power-monitoring, which puts you in control of saving energy and keeping running costs down. Uses Windows 10 Pro operating system, designed to access anything with anyone, anywhere securely with easy navigation. Also, you can transfer data faster with USB 3.0 Technology, up to 10 times faster than the previous USB Technologies. ThinkCentre PC’s have new additions of dust resistant and thermal management design that reduce internal dust by up to 57%. The filters used are easily removable and washable to extend its durability in the long run. The Intel I3-6100 3.7GHz Processor supports this PC, therefore, delivering a nimble and mobile performance. 4GB RAM for fast processing with 500GB total storage capacity. All things considered, the ThinkCentre is a suitable solution to consumers looking to maximise productivity with a sensible budget. It has a relatively desk-space friendly size with dimensions of W:8.8cm x D:35.7cm x H:33.8cm allowing you to utilise less space for more use. This as well as many other Lenovo ThinkCentre products are available on offer now at IT-Supplier. Up until 19th May, IT-Supplier has a massive discount on selected Lenovo products including the ThinkCentre desktop. We work closely with Tier 1 Vendors to bring the best offers and discounts for you. Check out our other blogs under the Offers Category to see what else we have on offer this month. Furthermore, if you wish to speak to the team we are available through email or you can call us. You can email Support@IT-Supplier.co.uk or call 0203 328 5655.